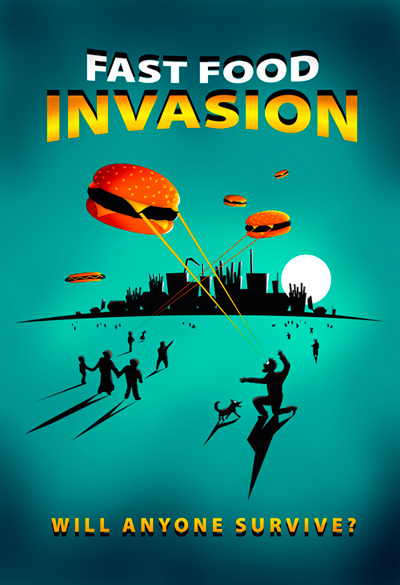 Earth invasion by fast food alien spaceships firing hypnotic rays and turning the human race into fast food zombies! In the style of a Vintage Sci-fi Movie Poster. Fast Food Invasion - Will Anyone Survive?